Young lifters tend to follow the crowd and take bad advice, but Sean is an exception. He took initiative and left bro-science for the followers. It paid off big time! My fitness journey started during my eighth-grade summer when I went to a sleep away camp and was challenged to do 3,000 push-ups in two weeks. At a boy's only camp, there wasn't much else to do. I completed the 3,000 push-ups and felt great. I had energy during the day, felt alive, and noticed my body was more cut and defined. When I got home from camp, I joined a gym and started training at 5-foot-6, 140 pounds. The first year was rough; I knew nothing about exercise and nutrition and gained little muscle and strength as a result. I became more organized as I got older and started taking whey protein post-workout and casein before bed. I built workouts and performed 3 sets of 8-10 reps per exercise to start. My main motivation was to get stronger, look good, feel good, and grow. I liked to see my body progress and loved a challenge. My junior year was a mess. I ate junk food and didn't go to the gym consistently. As a result, my body suffered, my body fat went up, and my muscle mass dropped. At 175 pounds and 16 percent body fat, I lost all motivation to work out. In March 2012, I saw a picture of Greg Plitt and I thought to myself, "Wow, if he could achieve a body like that, so could I." I was filled with a strong desire to change my body, which is exactly what I did. I'm competing in the Team Universe this summer, and plan to compete at the highest level of bodybuilding in the future. I plan to use the tools that got me where I am today, take consistent action, believe in myself, and have a positive mental attitude. 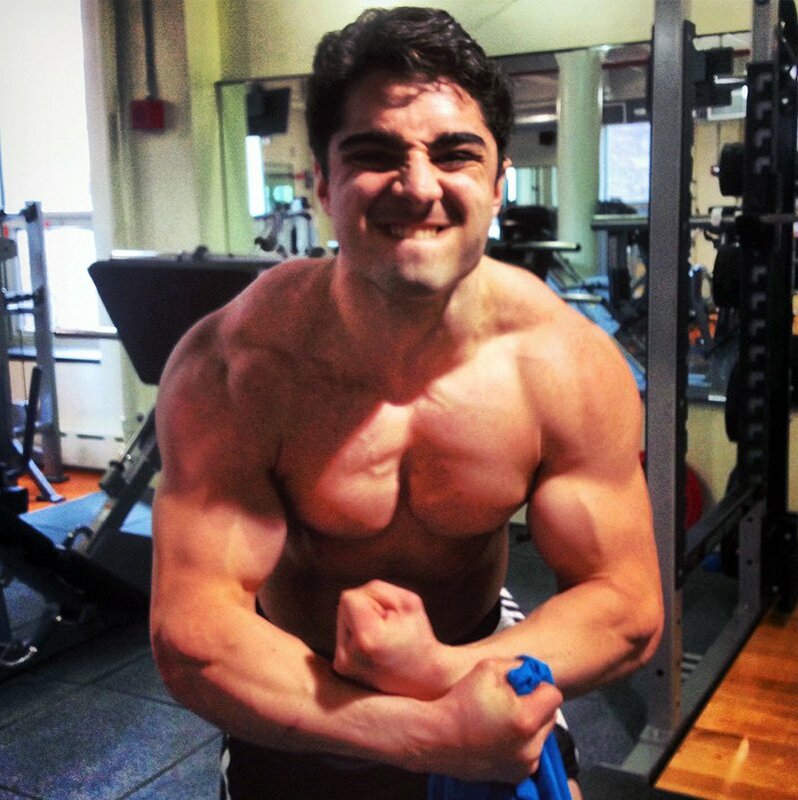 I created this program by using my knowledge of fitness training and personal experience. It's important to have strict form because you want to prevent injury and develop proportional muscles. I rest one minute between sets and two minutes between exercises. The most important step to a successful nutritional program is to calculate exactly how many calories you need per day. Then decide if you want to add mass, lose weight, or maintain. When I started gaining muscle, I liked the way I felt and looked. Whenever I hit a plateau, I lost that happiness because of my inner desire for growth. I demand to see progress in everything I do. I'm fascinated by the strength of the human body, how powerful it can be, and how beautiful it can look. Working out is an art form. Everyone has an art waiting to be revealed. When I first started my fitness journey, I knew nothing about nutrition, exercise, and supplementation. 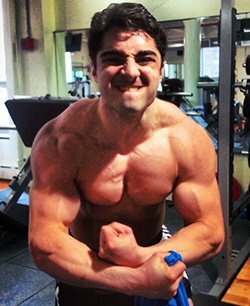 I spent time talking to guys in the gym who had awesome bodies and realized I could speed my growth with a solid nutrition and training program. When I took action, I saw incredible results! I thought I didn't have the genetics, and that I just simply couldn't do it. When I realized my lack of belief robbed me of motivation, I wrote out "it's possible" on a piece of paper and said it to myself throughout the day. Eventually, it became engrained in my head and I believed it was possible to achieve the body of my dreams. I had the inspiration I needed inside myself to push through grueling workouts. I'm competing in the Team Universe Bodybuilding Competition in July at age 18. If I win, I will earn my pro card. I plan to be at the highest level of competitive bodybuilding by using strong willpower and belief in myself. Lots of people in bodybuilding believe they're an expert and give advice on nutrition, supplementation, and exercise. Although some may be, it's important to listen to them and do research to see if you agree with them. What works for them may not work for you. My favorite competitor is Kai Greene. He worked so hard for so long to win the Olympia, and although he hasn't won, he's living life on his terms. I can relate because I dropped out of college as a freshman, started two businesses, and began my bodybuilding career. You either live your dreams or your fears. I use Bodybuilding.com in many ways to achieve my fitness goals; ordering supplements straight to my door at discounted prices helps. The hundreds of articles and forums to browse are major help too. The site overall is superb. I will always order my supplements from Bodybuilding.com.